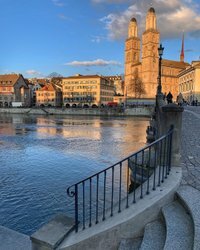 An international airport, excellent train connections and a well developed road network make Zurich the ideal location for convenient arrivals from around the world. Zurich is located in the center of Switzerland and at the heart of Europe. Whether you are coming from Madrid or Stockholm, most European capitals are reached in less than 2.5 hours from Zurich by plane. With its Main Railway Station, Zurich also has the largest railway station in Switzerland – with direct connections to other Swiss cities and the surrounding countries. Find out more about arriving in Zurich by bus, train, car or plane. 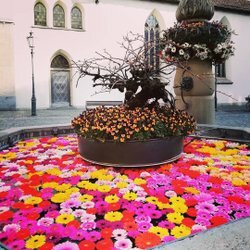 Get from Zurich Airport to all the major cities and tourist regions in no time at all. Traveling to Zurich by train is worthwhile, for the Main Station lies right in the city center. Getting to Zurich by bus is easy and convenient. The bus station lies at the heart of town. Travelling to Zurich by car is easy thanks to a well-developed network of roads. The key links relating to entering Switzerland at a glance. 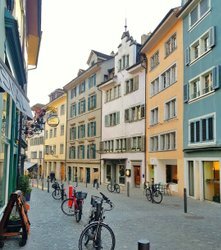 The most useful tips for a perfect stay in Zurich at a glance. Here are Zurich’s event highlights at a glance.